Do Countertops Have to Match? Lately, there has been a trend among designers to mix and match kitchen cabinets. This exciting trend away from the ‘matchy-matchy’ look which has been around for far too long. So, of course, inquiring minds eventually wondered if counters could also be mixed and matched. 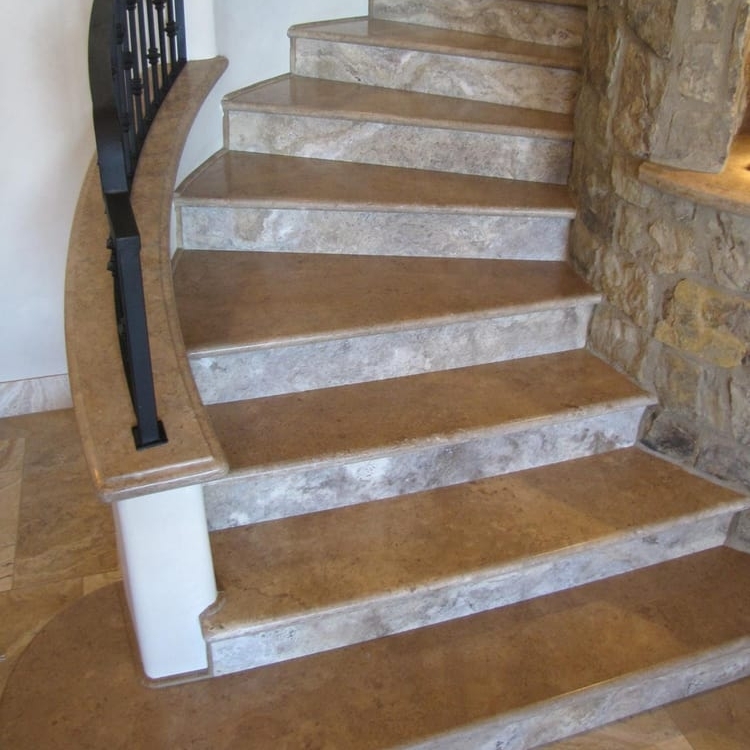 This is truly gorgeous and timeless way to use different types of stone which doesn’t involve a countertop situation. People who even consider the option of mixing countertops know their own mind, know when they’d like to push the envelope and wind up with something which might be genuinely fantastic. But, unless they have a good solid foundation of color scheming and know what they’re doing, unmatched countertops can be a little dicey. The reason is that countertops represent an investment and so you might want something which is timeless and going to look great for a long time. With so many great options to choose from, it’s easy to get caught up in color scheming. Using different colors in the same general family can evoke an eclectic feeling and possibly even save money at the same time. If it’s your forever home and you aren’t looking to sell it, you may not care what anyone else thinks. Unmatching countertops might be your free expression, and free expression is awesome. Even within the same stone there is a tremendous amount of variation. Also, certain countertops take the wear and tear better than others. Granite doesn’t stain as readily as quartz, for example. So, maybe you’ll want to have one color for your main counters, and one that’s a little different at your coffee bar. There is a tendency for things which look fresh and exciting to look dated and old-trend in just a few years. Exhibit A: The haircut you had in the eighties. So, when it comes to something with as much longevity as countertops, especially as they’re more long-term than a high school yearbook photo, we recommend that timeless elegance beats fashion every day of the week. You don’t want your kitchen to be dated even with standard granite components, so you might not want to mix and match because it’s a fad which will fade, even when your countertops don’t. The bottom line is that if you’re a designer, in your forever home, have an excellent sense of color or a genuinely creative reason which you want to use a mix and match approach; then you don’t have to listen to us. There are already other elements which can be a different stone type, such as the backsplash. But, as a rule, we will always advise you to stick with the same gorgeous type of stone you’ve picked for your countertops throughout the room, whether it be the kitchen, bath, or bar.